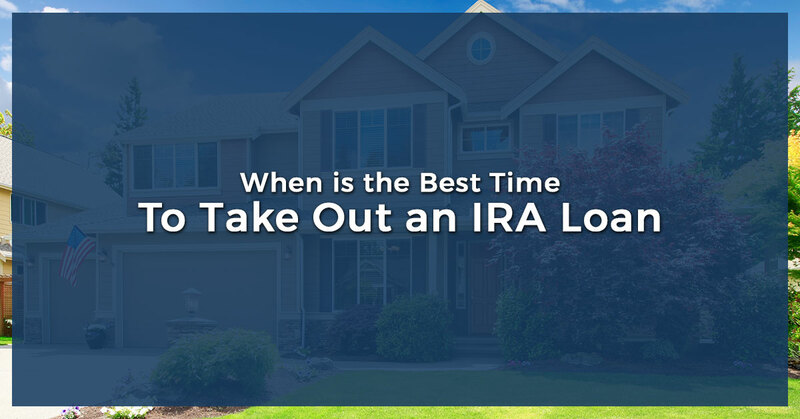 When is the Best Time to Take Out an IRA Loan? As we’ve discussed in a previous blog post, an IRA non-recourse loan (also known as an IRA loan) is a loan made to a self-directed IRA for the purpose of acquiring real estate assets. With this information, we know that a non-recourse loan is crucial for making an investment in real estate a reality. Though oftentimes, we might find ourselves debating if it’s a good time to take out a loan. We come back to the same questions again and again: am I ready to become a homeowner? Is now a good time to apply for a loan? First Western Federal Savings Bank is one of the nation’s leaders in IRA non-recourse loans, and we promise to guide you every step of the way. Take a look at some of the ways you can tell if you are ready to take out an IRA loan, and apply with First Western Federal today! We want you to be up to speed on all things IRA loan-related, which is why we continue to refresh on some essential knowledge each time. To recap, a non-recourse loan means that you put collateral up as a promise that you will work at paying off your loan in a timely manner. If you are unable to do so, you will lose that collateral, but with a non-recourse loan, you will owe the lenders no additional fees, even if the loan is not completely paid off. This differs from a recourse loan, in which you would still have to pay the lender the deficiency judgment that resides from the loan (basically you’d have to pay the difference as well). First Western Federal Savings Bank specializes in IRA non-recourse loans, which are steeped with benefits to the person or entity taking out the loan. Considering applying for an IRA loan? Read on to see if you’re at a good place to do so! You’re ready for a house. Anyone who has spent the past few years (or decades) renting knows that while there are definitely some benefits, it’s not something you want to do forever. Even when you rent an apartment or a house, there’s this underlying feeling that it’s not yours. You can make it look as personal to you and your style as possible, but the monthly checks written out to the landlord make it very clear that you are renting, and ultimately, you are a guest. Owning a house means more space, more possibility, and even more importantly, more bang for your buck. Renting signifies paying thousands a year towards something that you will see zero return on—by contrast, investing in and selling your house means adding a vital asset to your financial portfolio. If you’re sick of the renting game, you’re not wrong (and actually, you’re pretty smart for acknowledging that renting is a money drain, especially over time). Instead of spending thousands upon thousands for a place that is never truly your own, apply for an IRA loan to get you on the right track. Maybe that one bedroom in the trendiest part of the city was fine when it was just you, and maybe it was even fine for you and a significant other. But if you’re at a place where there are going to be mini-yous running around soon, the space issue is going to become real apparent, real fast. When you start thinking about having a home to call your own for you and your family, this is setting everyone up for success. This will be the place for your kids to grow up, the place for them to hang out with the neighbors, the location to the nearest school that they will attend for the years to come. Investing in a house is an ideal way to not only maximize the space that a growing family requires, but to allot for a place where everyone can thrive. Applying for an IRA loan is the first step to taking you there. In certain places around the country, we are at the precipice of being in the perfect time to invest in real estate. If you live in a location where the neighborhood or city itself are developing, this is a great time to apply for an IRA non-recourse loan. Cities like Denver, San Francisco, or Seattle are places that have all hit a peak, where the price for housing is at an all-time high. If you’ve decided to buy in these areas and have the collateral and/or the means to do so, there’s a chance this could increase the value of your home for the location alone. An even better move, however, exists in buying into housing markets where the cities are up-and-coming, and where the desire to live there continues to grow in the coming years. This is an especially great investment, because you will likely see the value of your home appreciate as the popularity of the location rises. Living in or near a highly-desired area means you can likely buy a house for a fairly reasonable price, which makes it the perfect time to apply for an IRA loan. Settling is often viewed as a somewhat negative construct, but this is not the case when it comes to real estate. Many of us have moved year after year, settled in a new location, apartment, or even city on an annual basis, and might be ready to stay put. Maybe you’ve finally ended up in the city you can see yourself in, or maybe you’ve got the job you’ve always wanted and are readier than ever to stay put. Either way, when you come to the conclusion that staying in one location is going to be a great move for you, this is an excellent opportunity to work towards an IRA loan. Sure, you could stay put and keep renting year after year. Or you could invest in real estate which has something to give you in return. Work with First Western Federal Savings Bank to get started on an IRA loan today. You want to build your assets and investments. If you have essentially nothing of value in your financial portfolio, you are not alone. But this is a turning point for you to begin adding investments, and ultimately, begin to think about your future. One day, you won’t want to be working five days a week—you’ll have retirement goals that you’ll want to hit and assets that you can entrust to others. Building your finances now means building security in the long run, and a housing investment is a stellar way to start chipping away at those goals. There could be any number or multitude of reasons why investing in real estate is a step that you are ready to take. Regardless of the why, the when of it all is right now. Make the move today to set yourself up for future success by working with First Western Federal Savings Bank. From CRP Payments to IRA non-recourse loans, to financial advice and more, we have the tools and professionals you need to get you on the path you deserve. Call us today!